However, Arsene Wenger men have found a bit of form in the past couple of weeks, they have managed to win their last five games in all competition and have equally been scoring for fun in most of those victories. One solid part of Arsenal this season has been their home form, the north London club has won four of their last five league games at the Emirates, they won their last two Premier League games by 3-0 at home. Southampton is in serious danger of being relegated this season, the Saints are in a relegation struggle although they are two points away from safety. Southampton recent form does not suggest they will get any point at the Emirates to aid a push for survival. The Saints have managed to win just one of their last eighteen Premier League matches, and this only victory came against almost relegated West Bromwich Albion at the Hawthorns, this away victory is their only success in 13 attempts. The new coach Mark Hughes has a massive job in order to help Southampton survive the drop, otherwise, the St. Mary’s Stadium will be hosting Championship football next season and coming up against a rejuvenated Arsenal team, all available facts point to a comfortable victory for Arsenal on Sunday afternoon. For Arsenal, Henrikh Mkhitaryan is injured and joins long-term injury candidate Santi Cazorla and David Ospina on the sidelines, all three players have been ruled out of the Southampton clash. The Armenian Henrikh Mkhitaryan was subbed off after an hour of the Europe League game against CSKA Moscow on Thursday, and the manager says there might be damage to his medial knee ligament. The Nigerian Alex Iwobi who replaced Henrikh Mkhitaryan in the 61st minute of the Europa League clash against CSKA Moscow is favoured to start in the absence of the Armenian. 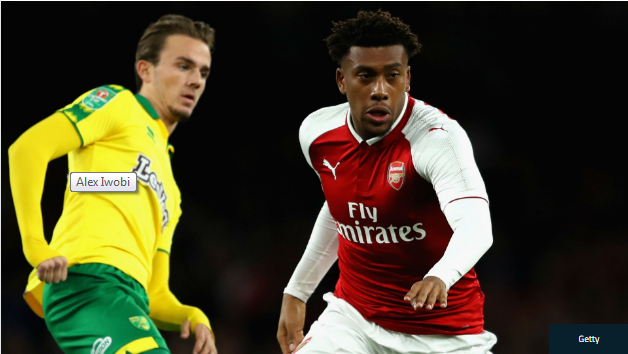 The game on Sunday will come too soon for Ainsley Maitland-Niles who has picked up a niggle on international duty, but the 20-year-old might be back for the trip to Moscow next week. The manager is certain to employ some level of rotation between the Europa League and the Premier League due to injuries and Aubameyang’s ineligibility issue. Southampton’s coach Mark Hughes has a near fully-fit squad heading to north London. Young full-back Sam McQueen is their only likely absentee, with French midfielder Lemina expected to shake off a knock to feature. The Gunners are in good form and should have enough quality to easily dispatch the struggling Saints in this clash. A victory will make it six consecutive wins in all competitions for the Gunners. The match kicks off at 2.15pm Sunday afternoon at the Emirate Stadium.